UMP | University of Minnesota Press Blog: What's the deal with Elon Musk? A transhumanist's perspective. What's the deal with Elon Musk? A transhumanist's perspective. In my timeline on Twitter, I get a lot of updates about Elon Musk. Maybe you do too, especially if you follow as many data scientists, technologist, and futurists as I do. Seemingly every week, the billionaire founder of SpaceX, Solar City, and Tesla is making headlines with a new technology that promises to revolutionize the way humans live (such as the Hyperloop project, a high speed public transit project, or Neuralink, a company developing technologies to connect the human mind to a computer) or with predictions that these same technological changes will lead to our extinction as a species, such his recent prediction that artificial intelligence will likely cause World War III. These tweets capture one of the key aspects of Musk's public persona: he appears both fascinated by the potential of radical technological change and well aware that these changes will probably lead to our extinction. For More and other transhumanists, the radical technologies promised by genetic engineering, robotics, and computation in general demand that we rethink what it means to be human. Though Elon Musk does not specifically identify as a transhumanist, a TED Talk he gave outlines his belief that the sustainable, futuristic technologies his companies build can fundamentally alter what it means to be human. Transhumanists often argue that new technologies are radically changing human nature, even causing us to evolve into different beings, the kind of cyborgs that Musk says we must become if we are to survive the future. This specific position was first articulated in computer scientist Hans Moravec's 1990 book Mind Children and the idea of human-computer co-evolution continues to be a core belief amongst many transhumanists. Perhaps most clearly marking the similarity in his thinking with transhumanism is Musk's association with The Simulation Hypothesis. First proposed by Nick Bostrom in a 2003 issue of Philosophical Quarterly, Bostrom analytically proves that it is likely that our reality is a computer simulation created by future cyborg ultraintelligences as a means of experimenting on different possible outcomes to human evolution. Speaking at a 2016 conference, Musk declared "There's a billion to one chance we're living in base reality," an argument taken from Bostrom. An October 2016 New Yorker profile of Sam Altman, the billionaire founder of Y Combinator, generated another round of headlines for Musk when Altman claimed that "two tech billionaires have gone so far as to secretly engage scientists to work on breaking us out of the simulation," generating speculation that Musk (or PayPal founder and noted transhumanist Peter Thiel) was likely one of the two Altman mentioned. While Musk's technological innovations and possible funding of research into the simulation hypothesis align him with transhumanism, his pessimism about these same technologiesâ€™ abilities to deliver a just, sustainable, and even survivable future places him at odds with the movement. FM-2030, the futurist whose work was key in inaugurating modern transhumanism, called his philosophy of a future of material plenty "optimism one." Max More claims that transhumanism is a philosophy of "dynamic optimism." Raymond Kurzweil exhorts his readers to "live long enough to live forever." Musk's gloomy concerns that AI will kill us all or that the first of SpaceX's Martian colonists must be prepared to die is not in-line with this spirit of optimism. Musk, though considering science-fictional technological undertakings with the same seriousness as transhumanists, appears more pessimistic about their outcome. So, given all of this, what's the deal with Elon Musk? For me, Musk's interest in making fabulous technology a reality while simultaneously being extremely pessimistic about the outcomes of these technological advances signals that transhuman topoi—the commonplace arguments of life extension, superintelligence, genetic engineering, and space travel that make up transhumanism's rhetorical tool chest—are becoming ubiquitous. Though not himself a transhumanist, Musk's identity, work, and claims about the future of humanity all suggest that transhumanism is increasingly the rhetorical terrain in which arguments about the future have to be made and against which technological change will be judged. 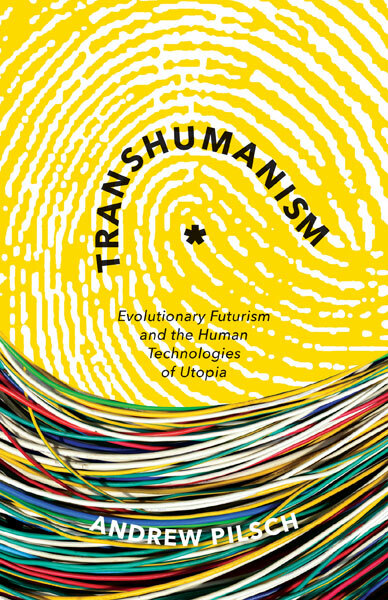 While we may remain suspicious of transhumanism—its creepy optimism, its blindness to racial and gender-based inequality, its indifference to the body—and are probably right to do so, the kinds of radical technological changes that transhumanism has been promising for the last half century are increasingly here and it is up to us to figure out how to live in this new future we are discovering for ourselves. 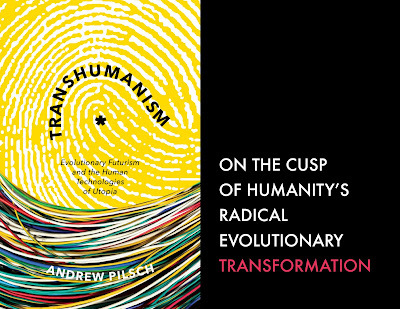 Andrew Pilsch, author of Transhumanism: Evolutionary Futurism and the Human Technologies of Utopia, is assistant professor of English at Texas A&M University. 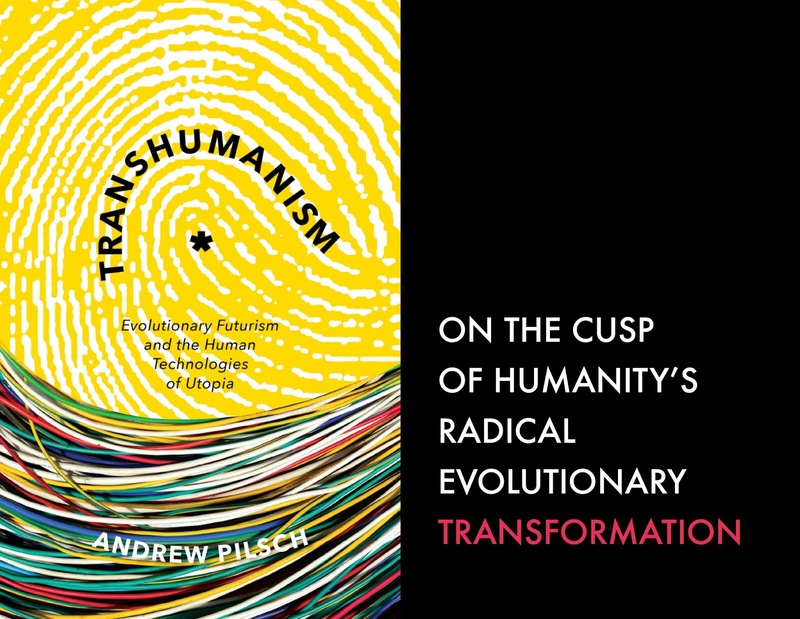 "I know of no other work that provides such a detailed and penetrating analysis of a cultural trend—transhumanism—that promises, like it or not, to be of increasing importance in the near future."